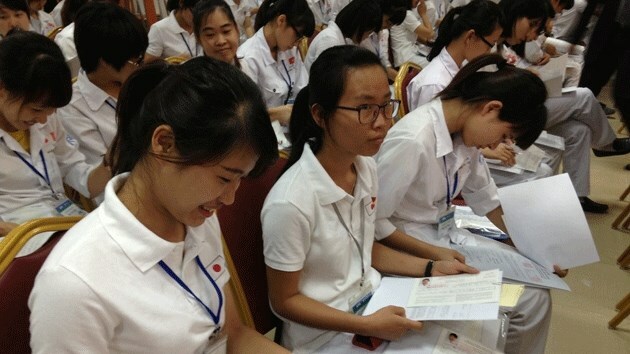 Hanoi (VNA) – As many as 180 nurses and orderlies left Vietnam for Japan on May 24 to work under the Economic Partnership Agreement (EPA) between the two governments. The EPA programme has opened up the two countries’ cooperation in taking care of patients and the elderly at hospitals and sanatoriums in Japan. Since 2012 the department of Overseas Labour Management Department of the Ministry of Labour, Invalids and Social Affairs has coordinated with Japan to provide Japanese language training for four courses of 720 Vietnamese nurses and orderlies. So far, 290 of them have left Vietnam for working. It is estimated that Japan will need up to 600,000 nurses and orderlies to take care of its elderly in ten years.